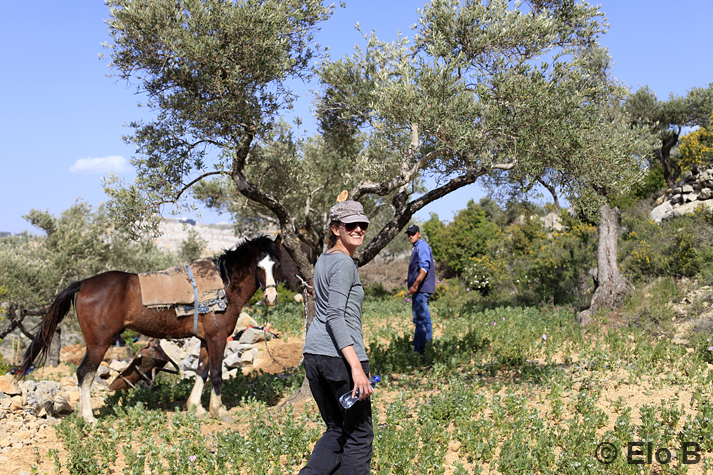 Mashjar Juthour is the first arboretum or eco-park in Palestine. The project aims to offer a natural reserve to preserve native trees and plant species; working through educational programs and eco-tourism to model and encourage greater individual and communal responsibility. The idea was born many years ago in the minds of two individuals passionate about nature: Saleh and Morgan Totah. 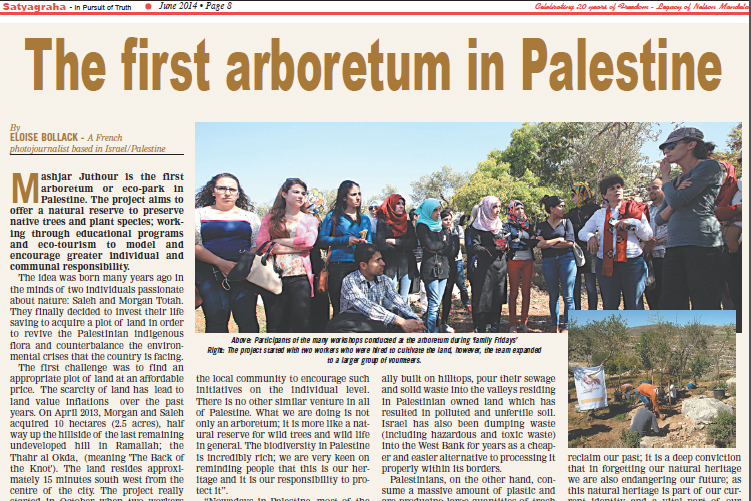 They finally decided to invest their life saving to acquire a plot of land in order to revive the Palestinian indigenous flora and counterbalance the environmental crises that the country is facing. “Nowadays in Palestine, most of the skills and knowledge concerning the environment have been lost or forgotten. There are other issues that matter more. Human right violations occur every day, so who has time to care about environmental justice or animal rights?” explains Morgan. Since the Oslo Agreement was signed in 1993, 60% of the West Bank is under complete Israeli control; Palestinians are not allowed to build the smallest structure nor the most basic infrastructure. In addition, illegal Israeli settlements, usually built on hilltops, pour their sewage and solid waste into the valleys residing in Palestinian owned land which has resulted in polluted and unfertile soil. Israel has also been dumping waste (including hazardous and toxic waste) into the West Bank for years as a cheaper and easier alternative to processing it properly within its borders. Morgan adds: “this is why we have to reconnect Palestinians to their land. Our project is not a nostalgic push to reclaim our past; it is a deep conviction that in forgetting our natural heritage we are also endangering our future; as this natural heritage is part of our current identity and a vital part of our future, for us in Palestine."